It's no secret that I am a devoted leopard print lover, my wardrobe is teaming with the stuff; from sandals to pumps, t-shirts, skirts, sweaters and even underwear. 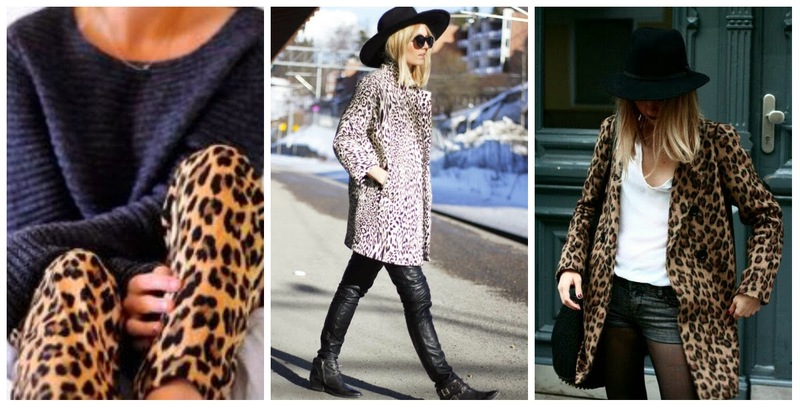 For some reason a good leopard print is like a moth to a flame for me-I just can't resist it. I think a lot of people can be intimidated by leopard, and rightly so. Done right it can be chic, elegant and cool. Done wrong and it instantly becomes trashy, tragic and cheap. Leather holds the same risk, no-one wants to end up looking like mutton dressed as lamb (or chicken dressed as lamb as a somewhat confused friend once quoted me). So you have to get the balance right. 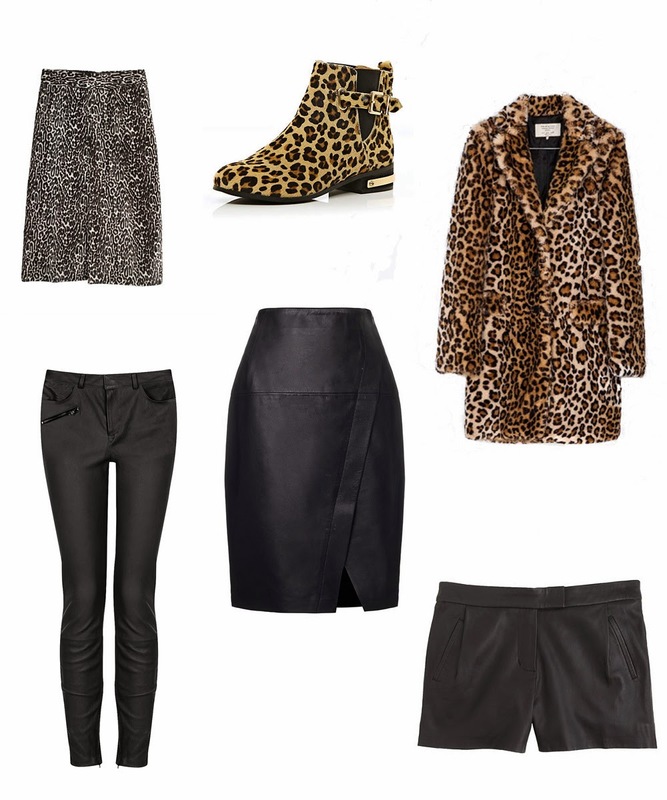 With both leopard and leather you want to begin by avoiding the cardinal sins; too short, too tight, too much. Trust me, these things do not a stylish girl make. Whoever you are and however hot your body is. Then it's all about what you pair it with. Leopard and leather can both be quite 'dressy', for want of a better word, so mixing it up with some different textures and classic casual pieces is a good place to start. Don't try too hard and let the hero (in this case your leopard and/or leather) do the talking. 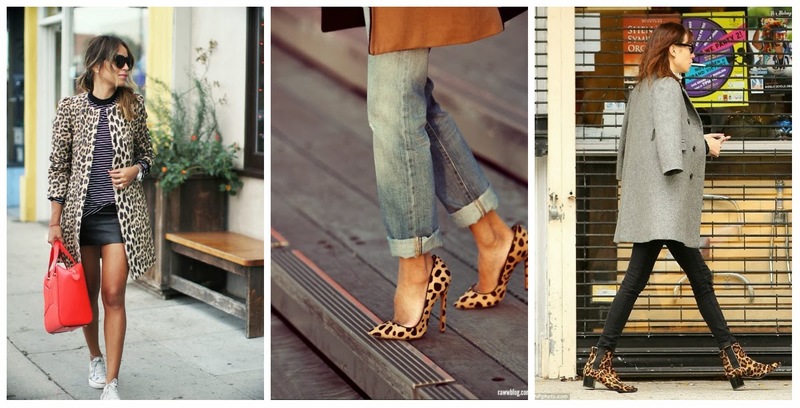 Denim is leopard's best friend, and we all have denim in our wardrobe-so use it! 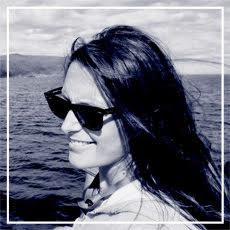 I'm also a big fan of pairing the comfort and simplicity of a slouchy knit or cotton tee with something more stand-out. My favourite looks are usually the ones that mix day and night or formal and informal, there's just something so effortlessly cool about it. And yes, leopard and leather can be worn together too. Sounds scary? It's not. Just keep the rest of the outfit simple and include something classic that tones down everything else; a camel coat, a trench, a soft tee, a pair of converse, ankle boots, some breton stripe...denim! Keep other colours fairly neutral, although a splash (note splash) of pillar box red never goes amiss, and the perfection of the leopard/leather combo shall be yours. Simples. Some of my top picks from around the high street.